The Food and Drug Administration (FDA) has approved a new immunotherapy drug for some patients with non-small cell lung cancer (NSCLC) and expanded the approval of another immunotherapy drug for NSCLC so that it is now available for more patients. On October 18, the agency approved atezolizumab (Tecentriq®) for the treatment of metastatic NSCLC that has progressed during or after first-line chemotherapy with a platinum-based drug. And on October 24, pembrolizumab (Keytruda®) became the first immunotherapy drug approved for the first-line treatment of patients with metastatic NSCLC whose tumors overexpress a protein called PD-L1. An existing approval for pembrolizumab—for second-line treatment of metastatic NSCLC with lower yet still measurable expression of PD-L1—was also converted from an accelerated approval to a regular approval based on new clinical trial results. Both drugs are immune checkpoint inhibitors. Atezolizumab has also been approved to treat patients with bladder cancer, and pembrolizumab has also been approved for the treatment of metastatic head and neck cancer and melanoma. The approvals for NSCLC continue a trend that began last year, when nivolumab (Opdivo®) became the first immunotherapy to be approved for second-line treatment of NSCLC. Until recently, for patients with advanced lung cancer, effective treatments were very limited. “Immunotherapy is providing new treatment options, and that is great news for patients,” said Shakun Malik, M.D., of NCI’s Division of Cancer Treatment and Diagnosis. The FDA approved atezolizumab based on the results of two randomized clinical trials that compared the immunotherapy with docetaxel, which is a standard chemotherapy for NSCLC that has progressed after platinum-based chemotherapy. Results from one of the trials, a 287-patient study called POPLAR, which was funded by the pharmaceutical companies that developed the drug, were published on April 30 in The Lancet. Median overall survival for patients who received atezolizumab was 12.6 months, compared with 9.7 months for patients in the docetaxel group. Side effects were less frequent and less severe for patients treated with atezolizumab. Full data from the second trial leading to approval, which enrolled 1,225 participants, have not yet been published. However, data released by the FDA (from the first 850 randomly assigned participants) and presented last month at the annual meeting of the European Society for Medical OncologyExit Disclaimer also showed improved overall survival for atezolizumab compared with docetaxel: 13.8 months versus 9.6 months. In the clinical trial of pembrolizumab that led to its approval as a first-line treatment for NSCLC, 305 patients newly diagnosed with advanced lung cancer were randomly assigned to receive either pembrolizumab or platinum-based chemotherapy. 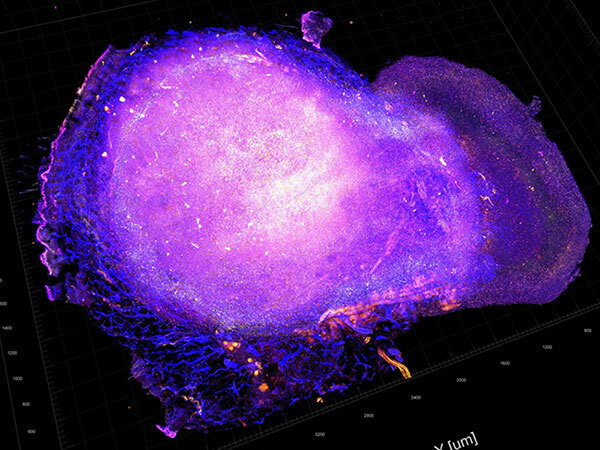 To enroll in the trial, patients’ tumors had to have high expression of PD-L1, which is defined as expression on at least 50 percent of tumor cells, as measured by an FDA-approved test. Patients in the pembrolizumab group lived a median of 10.3 months without their tumors progressing, compared with 6.0 months for patients receiving platinum-based chemotherapy; and they also lived longer overall. In the trial of pembrolizumab as a second-line treatment for advanced NSCLC, patients had to have progressed following platinum-containing chemotherapy and have PD-L1 expression of 1% or greater, based on an FDA-approved test. Patients in the trial who received either of two different doses of the immunotherapy drug lived longer than patients who received docetaxel: 10.4 months and 12.7 months compared with 8.5 months for the docetaxel group. Before treatment with either atezolizumab or pembrolizumab, patients’ tumors must also be tested for alterations in the EGFR or ALK genes. If a tumor has either alteration, the patient must first be treated with approved drugs that target those mutations. If their cancer progresses on these treatments, they are then eligible to receive immunotherapy. Gains in the overall survival of patients with advanced lung cancer in trials of checkpoint inhibitors have been modest, Dr. Malik said. But, she continued, in these trials there has consistently been a small subset of patients who benefit substantially, with their disease not progressing for months or even years. This consistent pattern, she explained, highlights how much is left to be learned about how immunotherapy actually works. “There’s a tail end of the [survival] curves, where some patients are seen to be helped by these drugs for a long period of time,” she said. Research is ongoing to better identify who is most likely to respond to immune checkpoint inhibitors. This work, Dr. Malik explained, could potentially help scientists understand exactly how these drugs disrupt cancer progression and why they work so well in some patients but not others, ultimately leading to the ability to better select patients for treatment. Story from the National Institutes of Health/National Cancer Institute. Please note: The content above may have been edited to ensure it is in keeping with Technology Networks’ style and length guidelines.